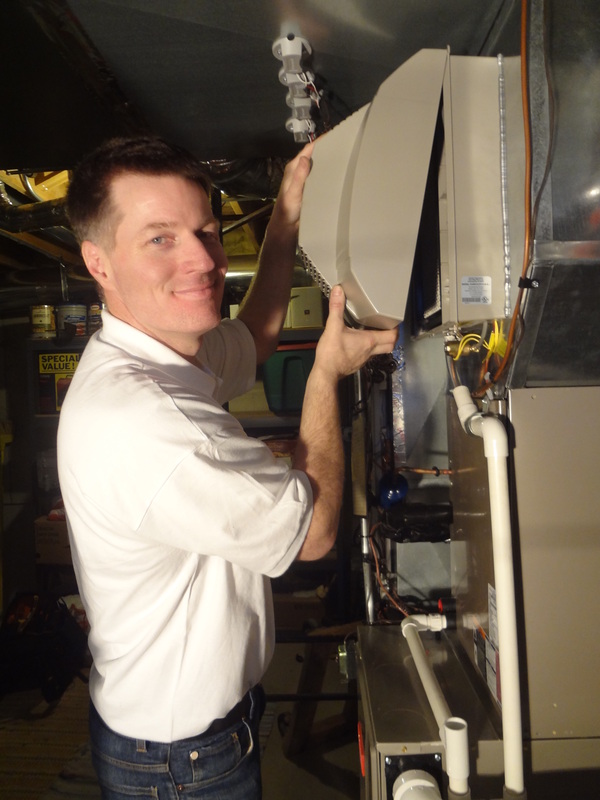 Annual Service Agreements for Air Conditioners, Furnaces, Humidifiers and Air Cleaners. Combustion Analysis: This test is performed before and after cleaning gas heating equipment to ensure it is burning fuel within safe, manufacturer recommended levels. It measures the efficiency of the equipment, temperature and gas levels including carbon monoxide. The analyzer prints measurable results determining safety and efficiency. I always begin by asking my clients if there are any problems, questions or concerns. I ask about indoor air quality, noise, humidity, if the system location is objectionable, allergies, health issues, hot and cold spots, repair issues, their seasonal temperature preferences and any other concerns. I ask clients to come with me to investigate and gather information needed for the heat loss/heat gain calculation. I’d rather spent an hour or two now, rather than several hours later fixing something that was missed. A Heat Loss/Heat Gain Calculation is Performed for your Install Estimate. “Why do I need that?” you may ask. A heat loss/heat gain calculation determines what size furnace, air conditioner and air flow is needed to properly heat and cool your home. This calculation is derived from the factors listed above. “Why can’t I just get the same size system I have now?” you may ask. What you have now may have been a “rule of thumb” estimate. Improvements and additions also have an effect on system requirements. A heat loss/heat gain calculation eliminates guesswork and ensures your system will meet what your home or workplace demands. This is required by Illinois state building code as of January 2013. The state has recommended it for many years because too many systems are oversized, leading to early system failure, wasted energy, excess noise and comfort complaints. I use client feedback, my investigation and research possible alternatives to prepare design plans which will make my clients happy and comfortable. I present the plan in person, discuss options and answer questions. We strive to make the installation as smooth and painless as possible for our clients by accommodating their schedule, protecting the home and cleaning up after ourselves. I follow up in person after the installation to ensure everything is operating as it should and the client is happy. Receive Temperature Specific Guarantee for Installations: A promise specific to your requirements is outlined in your contract. For example, your home will heat to 70 degrees when it’s -6 outside and cool to 75 degrees when it’s 95 outside. If not, the parts and labor to address this will be no charge to you.